DSM Nutritional Products recently launched a new publication titled “The Road to Good Nutrition: A global perspective” at the 20th International Congress of Nutrition. As part of DSM and Sight and Life’s Vitamins in Motion campaign and published by the Swiss-based scientific publisher Karger, this new publication brings together experience and insights of globally recognized experts in the nutrition field to forge collective action on malnutrition. The book is a snapshot of the current thinking on the global challenge of malnutrition, intended to accelerate progress toward a world where everyone receives the food and nutrition they need to be healthy and well nourished. 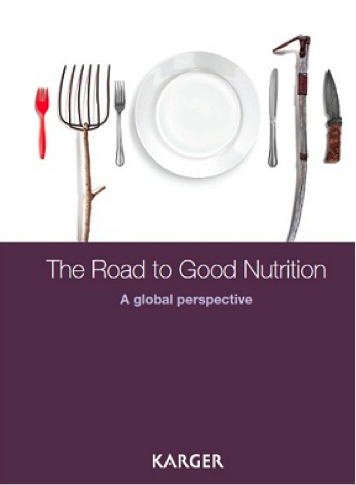 “The Road to Good Nutrition: A global perspective” explains that malnutrition is a phenomenon with many aspects, not all of them immediately apparent. Did you know approximately a third of the world’s children face lifelong economic and social disadvantage because of poor nutrition during pregnancy and in the first two years of life? A significant proportion of these children are disadvantaged because of unbalanced diets that lead to obesity and its associated health challenges. “The Road to Good Nutrition” tackles the wide-ranging issues related to nutrition and serves a broad audience. From stunting to food insecurity, from hidden hunger to obesity, the book puts the topic of nutrition security on the agenda of policy-makers, academics, private sector organizations, civil society, as well as of organizations dedicated to the nutrition space. It is also great reading for the interested lay reader, who is generally well informed in matters of health, nutrition and sustainability. For more information on the book, visit VitaminsInMotion.com.